Aaron – Law enforcement marketing specialist, Leader of the northern dwarves and media contact for WLS. 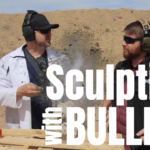 Nick – Nick spends his day making high dollar rifles and barrels and his nights reviewing products. Shawn – I’m Shawn, I’m an instructor, reviewer, competitor and no one laughs at my wife jokes so I had to put in a laugh track last week. Anybody – WEAPON, big gulp soda (for any listeners in New York). Brian – Master, mastered, mastering, THE Master. Brian: Everything and anything related to triggers. I’ve been experimenting with different triggers for the ARs. Nailing down my own trigger pull. Lil: Let’s talk about all the incidents of kids getting suspended for anything to do with a gun, from a tiny trinket to a New England Patriots Jersey, to kids playing with Airsoft guns in their OWN YARD. Without strong parental influence, the things kids learn in school become ingrained and are very powerful – it is practically brainwashing. Before too long, this generation will be our leaders and they are systematically being taught that guns are evil – even the symbol of a gun. -According to one article the school classifies this act as “possession, handling and use of a firearm.” (Source:http://www.foxnews.com/us/2013/09/24/7th-grader-suspended-for-playing-with-airsoft-gun-in-own-yard/). Zak – Why not? Shawn carries one. Hefty Smurf – Brian – M134 Minigun (Handheld) with the ammunition backpack. Jesse Ventura style. 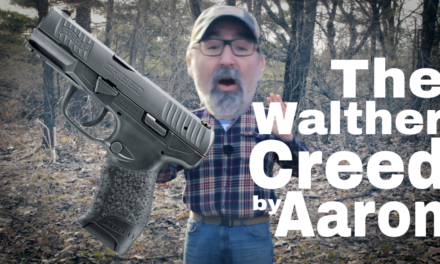 Greedy Smurf – Lil It doesn’t matter what kind of gun he has, because he has so many, and he is the one buying up all the .22lr ammo, and the primers, powder, and bullets too. You will find him waiting for your favorite gun store to open on the day their shipments come in. Too bad you have to work, by the time you get there, he will have already bought it all. Vanity Smurf – Shawn – When looks matter more than function, gotta be a Kimber Aegis II. 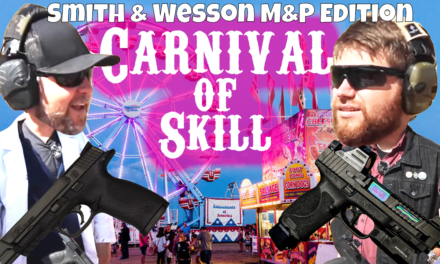 9mm because, well, he’s a smurf. 45auto is a mans cartridge. Handy Smurf – Aaron – Hi-Point 45 ACP, because it takes a skilled technician to take it apart, and it is so sturdy it can be used as a hammer when one is not available. Gargamel – Shawn – Mossberg 500 persuader, no stock, pistol grip, smurf genocide in a shell. Brian: DezTacticalArms.com – (Company website) & http://www.practicalmachinist.com/vb/gunsmithing/pricing-gunsmith-work-more-brownells-survey-200977/ (Gunsmithing prices/rates). You mentioned on your last episode WLS 005 about the Remington Versamax, and it’s use in three gun. My question for you is: For the first time shooter in three gun, besides the obvious required guns (rifle, shotgun, pistol) what kind of gear and equipment should you bring? Having shot IDPA for a little while, I understand how your gear changes as you get more involved, but strictly from a starting point, what should I be looking for? The post WLS 007 – From now on, Girls get .45’s! 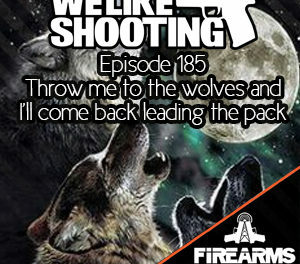 appeared first on We Like Shooting Podcast. NextSOG Access Card 2.0: An EDC knife for skinny jeans! 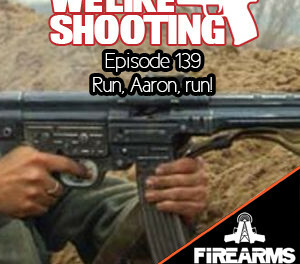 WLS 139 – Run Aaron, run!